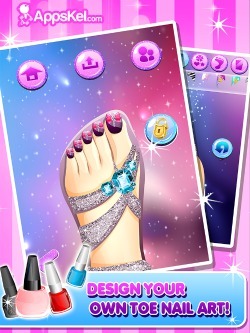 Click here to download Toe Nail Salon for iOS today! Give your toe nails a full makeover with this Nail Salon game! Add some glitters and patterns to your toes, show it off so that everybody knows! 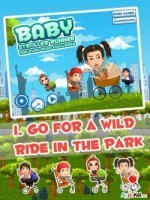 Use magnificent colors and lovely themes to share it to everyone! Download Toe Nail Salon and this will be the best app to keep your toes on! Walk down the aisle with glamour and style! Goin’ out with your toe nails unpolished? Need to style quickly and with great beauty? Toe Nails salon will give you great ideas in a jiffy! Show off your beautiful toe nails, and give them a perfect smile! Toe Nails Salon has lots of unique designs and things you can add to your toenails. French tips for your toes? We made it easy for you!. Get the funkiest and loveliest french tips in our gallery and apply them to your toenails! From simple to extraordinary, we have them for you at the ready! Add some extra designs like a flower, a heart and even stars and diamonds! Add them wherever and whenever your toe nails need too! Save a design for each of your toenails and go crazy! Or you can have it simple and have a set for all of them! Either ways, Toe Nails Salon will make sure to get you all the fun and have it done! With a few scroll and taps, get your fantasy toenails in a snap! Get the most glamorous toenails, and walk down the aisle with glamour and style! Done with your toenail design? 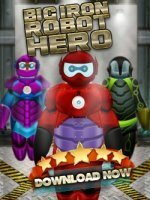 Show it off to your friends via Facebook or Email! 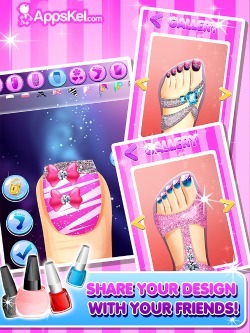 Don’t get behind and get the most fashionable toenails salon app! It’s always fun to have more glamorous friends sharing the same fun toenails styling app!